Many students pursue university to get an academic degree or to start a path towards a professional field. But what many fail to realise is that whilst uni is all about learning, some of the things a student learns aren’t actually taught in a lecture hall. Here are three things every student learns from going to uni, without stepping one foot in a classroom. One of the hardest transitions for many students entering uni from traditional secondary school is learning to be independent. Transitioning from a fairly structured day to a day that changes each term starts as soon as a uni student hits freshers’ week, and sometimes that transition can be tough. Luckily, your years at uni will teach you that you can be independent. Being responsible for your academic and professional outcomes not only has an impact on your life, but it also makes you a more independent and self-sufficient individual. At uni, people from all different backgrounds — different religions, ethnicities, socio-economic standings, from various regions of the UK and around the world — all congregate on one campus for the purposes of advancing themselves. Such diversity in backgrounds is very beneficial to the uni student, who must learn to work together with others. Since working cooperatively is a facet of our modern, globalised economy, working with others different than you at the college level gives you the experience you need to tackle cooperative work in the post-uni world. The ‘poor uni student’ is not a misnomer, and you learn that quickly whilst at a university. Your maintenance loan, whilst helpful, only goes so far, and then there’s that whole have-to-pay-it-back thing. Whilst it’s easy to spend your first maintenance loan quickly in your first term, you eventually learn to plan your finance for the long-term, gaining a broader education on the value of the pound and overall ways to handle your finances. University is a great time to grow intellectually, but it’s also a time to learn broader lessons as well. Self-sufficiency, cooperative work, and financial management are all lessons to be learned whilst in university. If you’re a uni student still learning how to manage your finances, Amro Vantage offers affordable student accommodation in Kingston that won’t make you go broke. Check out our website to learn more. 1. Be food conscious, fridge temperatures between 3-5 degrees is good anything more or less, and food tends to go off a lot quicker. 2. If you live at Greencoat House with a friend, save money and time by clubbing together and paying for delivered shopping, this is because stores charge a minimum fee to deliver food which is set to around £40-£60. 3. Rather than choosing items because of their brand name, have a look at the ingredients first. Check the amount of additives, natural ingredients, salt and sugar content, and then compare with a store’s ‘own brand’. Own brands are normally a lot cheaper. 4. Try avocados: they provide more than 25 essential nutrients, including healthy fats and the anti-oxidant vitamins A, C and E. Eat one mashed with black pepper and spread on wholemeal toast before an exam for slow-release energy. 5. Spice up your mashed potato, by mashing in two (or more) types of vegetable – that way you’ll get more of your five a day. 6. Learn to steam food – potatoes on the bottom, fish or meat in the middle, and veg in the top. Cooking this way retains more nutrients in the food, plus you’re only using one utensil, so there will be less washing up. 7. Ordering a pizza, but everyone wants a different topping? Grab some pittas and create your own ‘mini movie pizzas’. They are cheap and cheerful, leaving plenty of money for the ‘beverages’. 8. Meat, fish and alternatives can be expensive so try and put your money together with your friends for supermarket deals. Make sure you freeze what you don’t use straight away! 9. There are lots of quick recipes available online which are cheap and easy to make, some to mention are Jamie Oliver’s channel 4 Quick & Easy Food. 10. Student’s need caffeine like pens need ink. Energy drinks and coffees are hugely overpriced, so try making your own homemade coffee with your own coffee machine- costs less than the average price of a ‘posh’ store-bought coffee. We have superb, luxury, en-suite rooms available for the 2017/2018 term at our Bright House Student Accommodation facility in Kingston. 1. 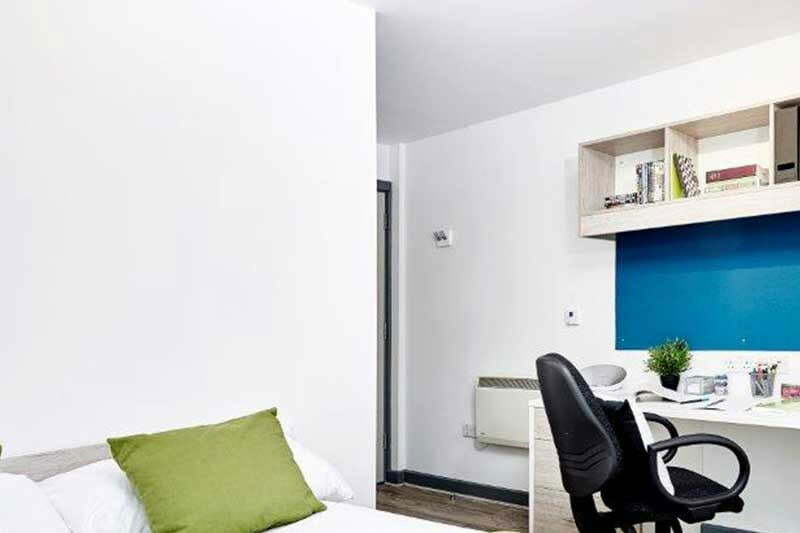 This student accommodation building in the heart of Kingston is an ideal place of residence for students from Kingston University, Kingston College, and St Mary’s University. Being located next door to the College and with only a short 2 – 5 minute walk to Kingston University and Kingston’s transport links means it gives any local student an easy journey into uni. 2. The building’s central location also means residents have easy access to the wide range of amenities that Kingston hosts, including shops, bars, clubs, gyms, an entertainment complex and riverside restaurants. 3. The bright, clean rooms are fully furnished with a bed, a study area, good storage space, and their own private en-suite bathrooms. All bills are included in the rent, including broadband internet access! 4. 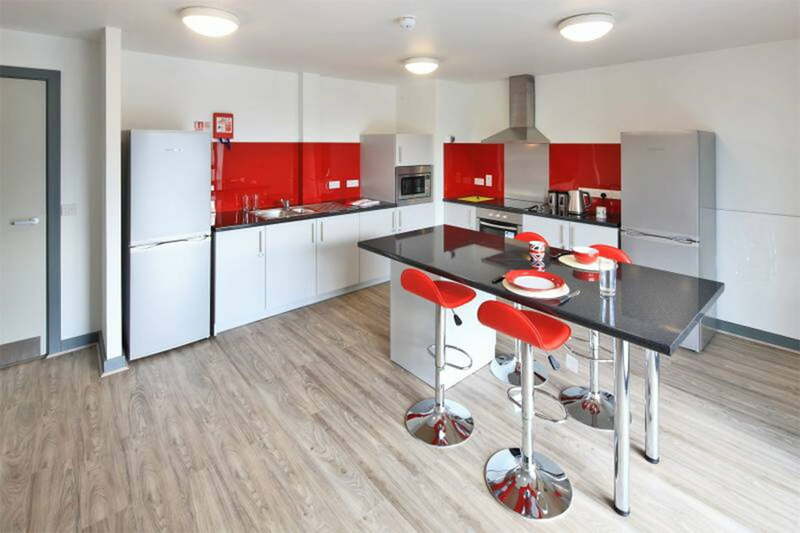 Also, residents have access to fully equipped communal kitchen and dining areas, which creates a great opportunity for students to socialise with their fellow residents. Our site also has its own laundry facilities which all residents have 24/7 access to. 5. We also endeavour to offer the best possible value to our residents. You won’t find better prices or better student accommodation anywhere in Kingston! Available rooms and prices are as follows: Classic En-Suite: £195 per week Premium En-Suite: £205 per week Move in/out dates are as follows: Move In date: 3rd September 2017 Move Out Date: 26th August 2018. Please contact our site manager, Patrick, at patrick@amroproperty.com or call him on 07501850924. If you like your festivals a little more refined, Hampton Court Palace festival is the event for you.Taking place in the stunning Tudor Courtyard, the festival provides world-class acts, a spectacular setting and the beautiful East Front Gardens to enjoy picnicking before the concert! 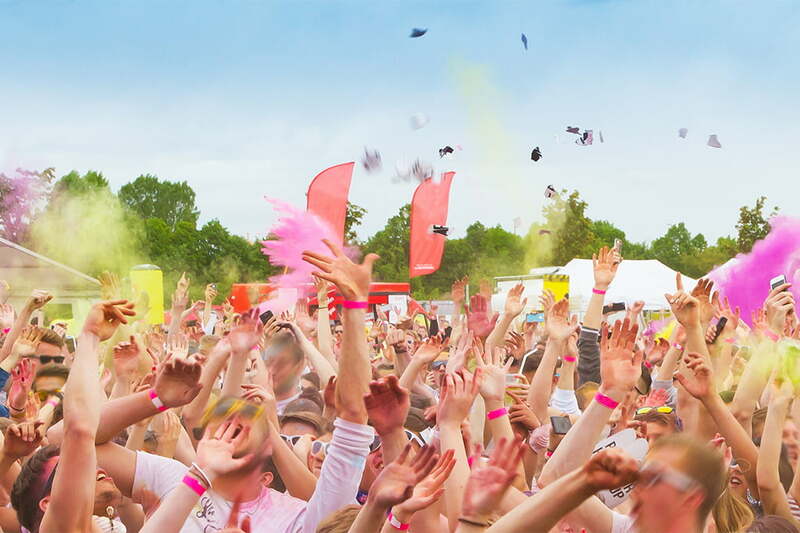 Another festival with a notable backdrop is the Sandown Park Festival and Sandown Race Course. The jockey club at Sandown, one of the UK’s oldest and most famous racetracks, hold concerts there throughout the summer. Kew the Music (11–16 July) is a glorious week-long festival of summer picnic concerts set within the stunning grounds of the Royal Botanic Gardens, Kew. All tickets start at £44 for a standard adult admission. If you are taking a course our luxury student accommodation in Winchester is ideal. You can book a room now for 2017. Whether you are studying locally or in the capital our student rooms at Riverside Way, Winchester are within easy reach of public transport and walking distance to the University of Winchester. Purpose built to provide every comfort and convenience, Riverside Way is all inclusive of utility bills, and superfast broadband. For times when you need a little support from your peers there is a group study room, as well as a common room for entertainment. Beautifully positioned in landscaped gardens you can sit out in the fresh air during the summer months. Who studies at the University of Winchester? There are more female students at the University (67.5%) than male (32.5%). Most of the students had a state education (96.1%) prior to studying at this Uni with only 3.9% of students coming from private school. 54.3% of students are 20 years of age or below, with the remainder fairly evenly split between 21-24 years and 30 or over. Only 5.3% of students are between 25 and 29. Most students are from the UK (93.2%) with 1.5% coming from the EU and 5.3% from outside of the EU. There are around 7,400 people studying at the University. For more details about fees and what this public research seat of learning has to offer, click on University of Winchester. Winchester has many accolades for being the best place to live in England. Among others the Sunday Times and the Halifax Building Society deem it to be so. This is not surprising because this City has everything including a feel good factor. If you love food, you will love Winchester. Quite apart from a vast selection of restaurants, cafes, fast food outlets and bars there is also a Farmer’s Market twice per month. This market is the largest in the UK and has a reputation for best quality produce. You’ll find top brand shops as well as chic independents selling clothes, jewellery, beauty products, herbal remedies and just about anything else you might ever want or need. There are lots of bookshops, fine art galleries and a quaint arts and crafts shop that is frequented by art students. There is always something happening in Winchester with small weekly markets featuring art, retro and antique items. Numerous Festivals are held throughout the year from wine and fashion events to jazz and comedy performances. There is a buzzing nightlife with theme bars and night clubs, theatre and cinema. If you need a quiet place to sit and reflect or study, you have a choice of the Cathedral grounds or Abbey Gardens. Be inspired as Keats once was strolling along the waterside. 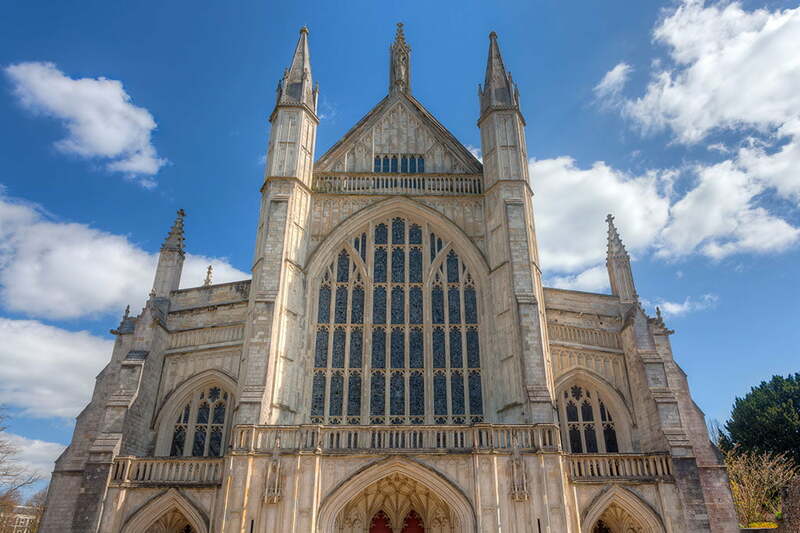 Once the capital of England, Winchester dates back to medieval times. The evidence of its historic past can be seen in the architecture within the City walls. London is an hour’s train journey away making Winchester a desirable residential location for those studying and working in the capital. Naturally it is a perfect location for students at the University of Winchester too. However, property prices and rents are high as can be expected in an area which is much sought after. Our Riverside Way student accommodation is competitively priced and represents excellent value for money. With all bills included and an ideal environment for recreation and study, it makes sense to check it out. Call us on +4402037090274 to arrange a viewing or click book a room online. Here we have a bright young talented student Gratsiella Yankova who was delighted to share her performance with Amro Vantage. We are delighted to share her new performance, Summertime which is a great success story. Gratsiella is a bright young artist who has been living at Greencoat House for the past two years. 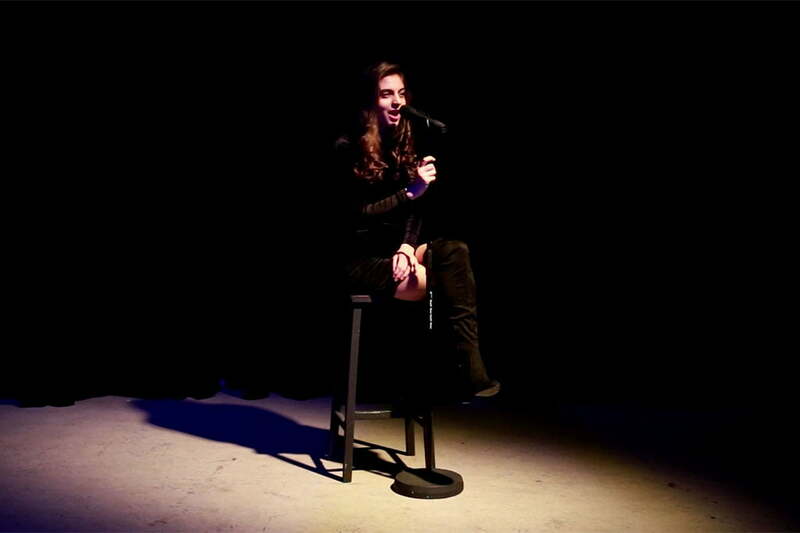 She is in the performing arts at Kingston University and has shared her music and talents with us, we in return are happy to share on our facebook page. Kingston upon Thames is one of the best areas in London to get fit. Now that Fresher’s week has ended and it’s time to begin your intense, 3 year study period at Uni, this is also the time to get fit! When you’re studying at Uni there is really no better time to step up your fitness levels, now you no longer have the pleasure of your parent’s home cooked meals. The number one excuse from a student for not being fit is “I have no money”. Yet here in Kingston upon Thames, you really have no excuse. There are numerous events and activities that you can take part in and enjoy, without breaking the bank. 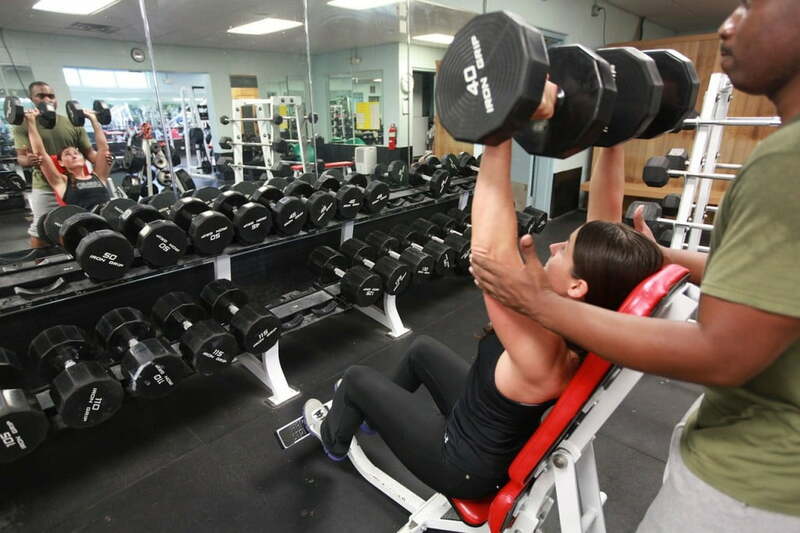 Whether you are looking to become healthier and happier, lose weight or build muscle, here are Amro Vantage’s suggestions of ways you can get fit in the Kingston area. Based in New Malden, Windsor Avenue, the cricket club at Kings College Sports Ground is always searching for new players. Ability and age is no barrier, everyone is welcome. With a social club and post-match drinks, it’s a popular sport for many students. This friendly football team of 11 a side has been playing in the local football League for 10 years. With training sessions held weekly on a Tuesday, meetings are split between working with their fitness coach and football training and matches. This Sports Club concentrates on the martial art/semi-contact sport of Kickboxing. Holding classes for both women and men at all abilities and experience, there are grading classes and competitions throughout the year. The modern, progressive sport of Ju Jitsu focuses on realistic self-protection / self-defence for modern society. Turn up and have a go, wearing loose, comfortable clothing and take a bottle of water for refreshment. Of course there are also many other activities you can take part in that won’t cost the earth. Kingston upon Thames boasts over 300 of the best cycling routes in the region, and of course cycling to Uni is one good way of upping your fitness levels. Walking is a healthy option that doesn’t cost a thing; walk along the Thames path to Richmond or explore London’s biggest Royal Park and look out for herds of Red and Fallow deer. Early mornings, late nights, stressful exams and endless studying – don’t let University life turn you into an unfit couch potato. Get out there and find a new sporting challenge in Kingston upon Thames. If you are searching for short term or long term luxury student accommodation in Kingston upon Thames or Winchester, we can help. You will find our team helpful and friendly. We can also share our expert knowledge of the area with you, if this is your first visit to the Kingston. Call us today on 0203 709 0274 and enquire about our all-inclusive luxury student accommodation. Kingston upon Thames is a booming student town that has a flourishing luxury student accommodation market. With so many options out there, why choose Amro Vantage? Our student accommodation isn’t your usual student letting rooms. Gone are the days of dodgy furniture, mouldy bathrooms and leaky roofs. Amro Vantage takes pride in being the best by providing tasteful, high end interiors, equipped with the best entertainment facilities and finest appliances. All our prime location properties are equipped to an equally high standard, with superb quality you won’t find in many other student properties. Our student homes are located in the heart of the Kingston upon Thames, all within easy reach of the main campuses – Kingston College, St. Mary’s University and Kingston International University, as well as being close to the city centre. Our policy is to offer accommodation in safe, student friendly areas with fantastic access to everything this amazing region has to offer. Amro Vantage properties offer a fully inclusive package, which means that there is no more arguing over who has to pay the gas bill. We include the cost of all utilities, CCTV security cameras, plus a superfast internet connection with a minimum speed of 50mb plus Wi-Fi in all properties. Whether you want to download a movie or relax with friends, we have it all covered. 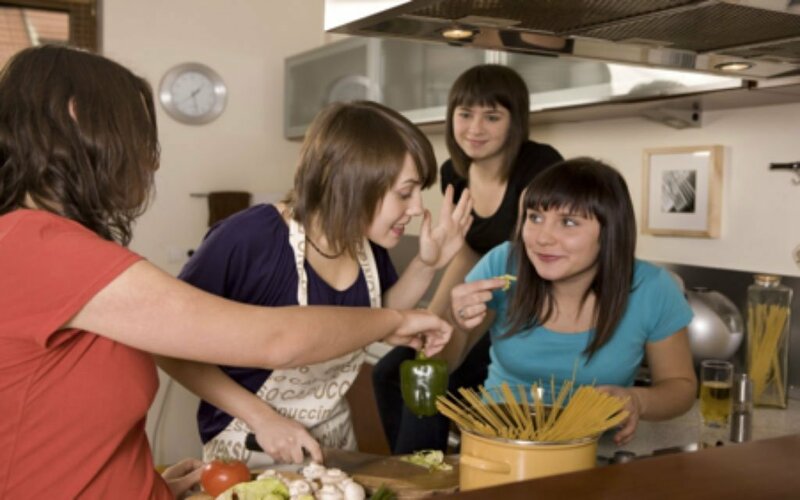 Our student accommodation provides either a large communal kitchen or a kitchenette, vital for student cooking and socialising; and of course, the necessary laundry facilities in all properties, there is no need to send your dirty washing home to mum! Have no worries if something goes wrong, we have maintenance teams on speed dial, to resolve any housing problems. Our luxury student properties allow you the freedom to welcome and invite your guests and friends when you would like, unlike University Halls which often place restrictions on visitors. 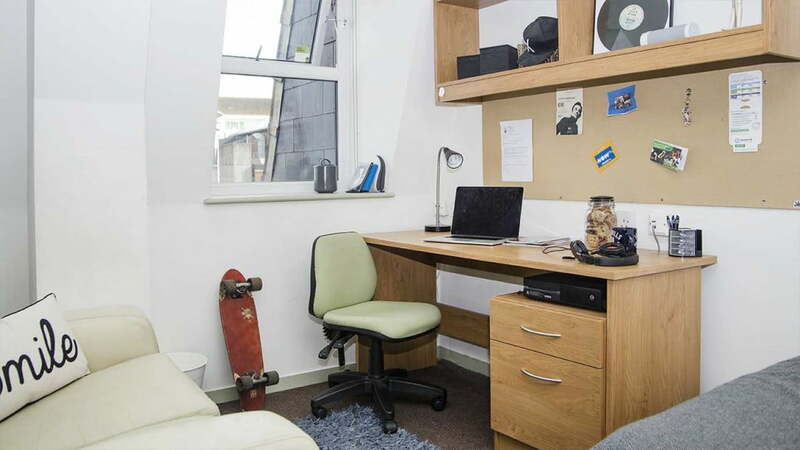 Halls of Residence may be a brilliant choice for Freshers and first year students. However, for anyone not wanting to party hard, or those who struggle with noise, mess and round the clock parties, private student accommodation is a much more sensible option. This especially applies if you plan to knuckle down and get some serious course work and revision done. So whether you pick us for our fantastic locations, our out of this world interiors or our first class tenant services, make sure you choose Amro Vantage luxury student accommodation. Bright House and Greencoat House provide the best luxury student accommodation that Kingston upon Thames has to offer. To view some of our impressive rooms call us today on 0203 709 0274 or arrange a viewing via our online booking form. Goodness, has it really been four years since the Olympic Games were hosted in London? 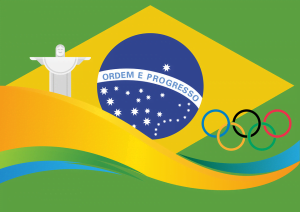 This week sees the start of the Rio Olympics 2016. If it’s not possible for you to travel out to Brazil to support Team GB and the other teams, at the Maracana Stadium, there are plenty of locations around the area where you can catch up on the action. Public spaces, bars and parks will be showing the events on huge open air screens. Here is the Amro Vantage guide to some of the best viewing locations. This has to be near the top of our list, where you can re-live the 2012 Olympic Games, as it’s been elected as one of Team GB’s official fan zones. With the compulsory huge screens, plus a funfair, 2 pools and a beach, what else do you need? This has to be the next best thing to actually travelling to Rio to experience the atmosphere and excitement of the Games. The Brazilian Embassy is showing their support offering Brazilian hospitality and a true Rio ambiance with traditional food and beverages. This location is also a Team GB fan zone, just a short walk down the river from St. Katharine Docks. In addition to the necessary big screen, you can take part in some Olympic sporting events. What better way to view the Olympic Games Rio 2016 on the huge screens in the park than with a few friends, a picnic and some sunshine? There are plentiful bars and restaurants around the nearby area too, where you can enjoy a snack, dinner or maybe even cocktails to celebrate the winning Team’s achievements. Of course, you don’t need to travel into the city to experience the excitement of the Rio Olympic Games. There are a multitude of riverside, town centre and sports bars that will be showing live team events throughout the period too. Grab a group of your fellow students and head down to this sports bar. You can order a Craft Ale bucket of 12 pick and mix bottles to share, or a Beer Bucket with 12 mixed bottles of Sol, Budweiser or Peroni to choose from. Expect a lively atmosphere, huge screens to watch the Games, with a beer garden and free wifi. The largest of the 3 bars on the Campus, Space Bar has plasma screens for fantastic sporting event viewing. With the addition of a Wii console, you can participate in your own Team Olympic sport experiences. 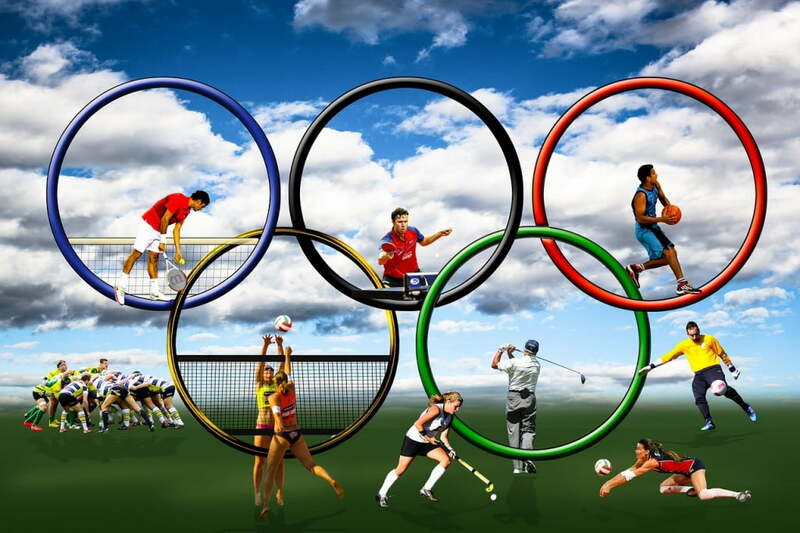 The Olympic Games Rio 2016 are taking place from the 5 to 21 August. Make sure you don’t miss out on the action at these top location picks.